There is beauty in practical and useful objects. 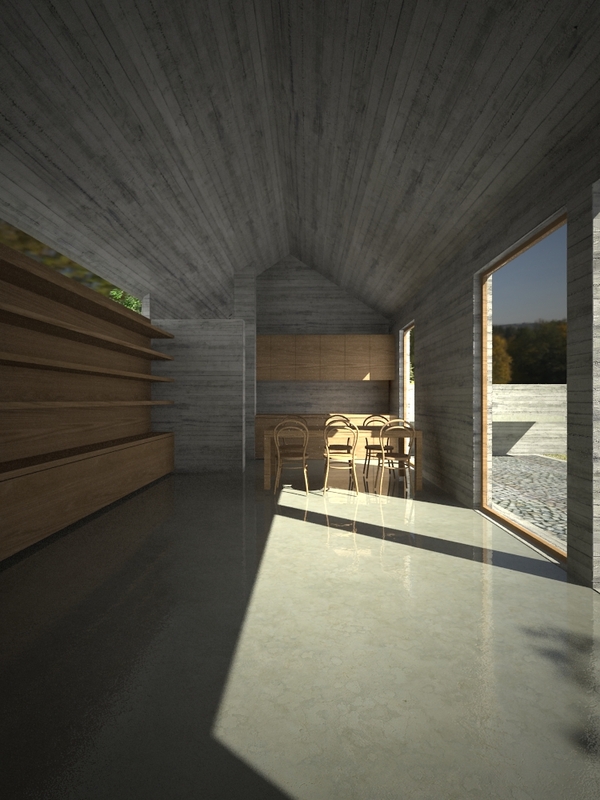 A conceptual design for a country house. The cast concrete barn reinterprets the existing typology that appears commonplace in the Australian landscape. The concrete shell cast in-situ with timber boards forms a pure abstraction of rich materiality creating a dramatic series of spaces. Moving from light to dark, spacious to confined and warm to cool spaces the sequence of spaces is inspired by, and evokes, the strong contrasts of the Australian landscape. 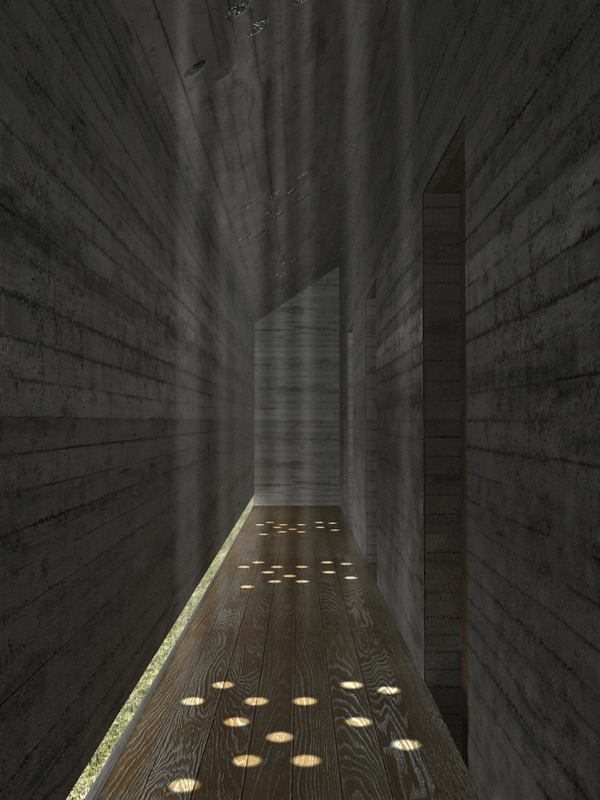 Raw materiality engages with the senses through an honest expression of the timber, concrete and glass. Warm and cool surfaces and deep shadows through openings define space and materiality. The dark hallway and entrance is a retreat from the Australian sun. Small apertures above the doorways create a theatrical sense of movement and the constantly changing and flickering light evokes the canopy of the surrounding trees. The barn house has been designed to be constructed in a bush fire prone area, sliding concrete shutters seal the house when vacated. The thermal mass, cross ventilation and carefully planned windows and sliding screens are to be developed in combination with water tanks and solar power on the site to achieve a high level of environmental sustainability.